This is it. We did it everyone. Please read my farewell letter here. 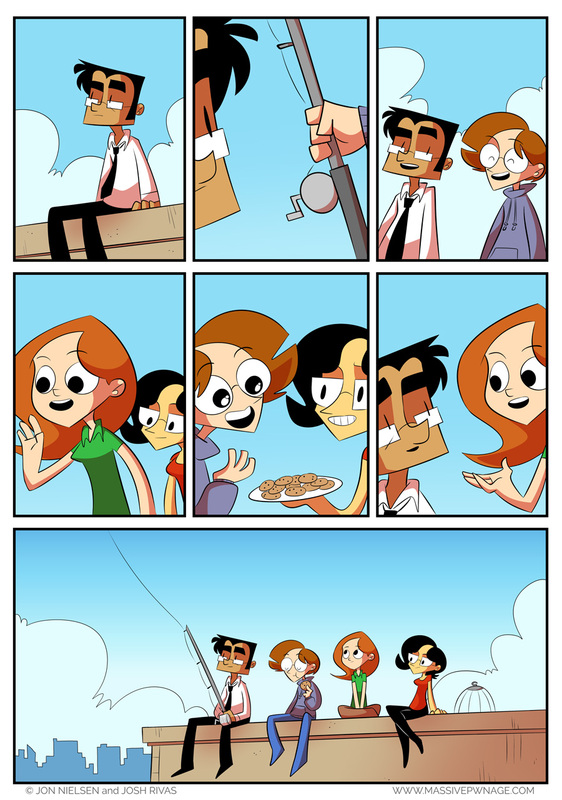 This entry was posted on Saturday, January 16th, 2016 at 12:00 am and is filed under Comics. You can follow any responses to this entry through the RSS 2.0 feed. Both comments and pings are currently closed. What… what’s my life now? Stay tuned for more stuff. A new strip is just on the horizon. Goodnight and goodbye Massive Pwnage. Always loved these comics; and so thank you to the whole Massive Pwnage Team. Best of luck in your futures. I started reading this comic about a year ago, and I’ve been checking it every week since. Thanks for all the laughs, and best of luck in your other projects! Thanks for reading! 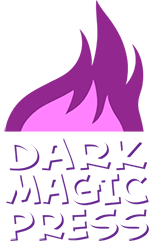 And stay tuned to Darkmagicpress.com for more info on what we’re up to next. I’m glad it ended this way. We’re birding together on the rooftop. Who knows what avian creature Locke will catch this time~ Everything’s as it should be. And I’ve still got to look forwards to all the future of Dark Magic Press! Thank you so much for taking us with you on this journey of Massive Pwnage Jon & Josh! 🙂 You’re welcome yo! Thanks for sticking around so long! Thank you for reading. I hope you’ve enjoyed the ride. You’re welcome, Sparrow. Thank you for being a loyal reader. I hope you enjoy our next project even more than this one! Just wanna say ence, thanks for being a big part of my life. I started reading you guys when you were first featured in the WoW comic section in 2007(or was it 2008?) Either way you guys have been a part of my life for quite some time, and while its sad to see it go, I’m glad it ended on a good note. I wish you the best of luck with your future endeavors Jon, thanks again for inviting me into your creative chambers. You’re very welcome good sir! Thanks for being a part of the adventure, and good lord was it an adventure. I am interested in where the fishing line ended up. I suppose I’ll have to read the next new thing in hopes of finding out. Til then. Smiley face. Less than three.